Lane County History Museum’s History Pub Series presents “Five Million Secrets: Native American Slaves and the Making of America” on Monday, November 12 at the WOW Hall. This hard-hitting topic comes from Dr. Brett Rushforth, a scholar of the early modern Atlantic world whose research focuses on comparative slavery, Native North America, and French colonialism and empire. 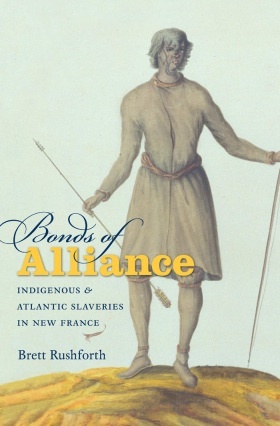 He has written Colonial North America and the Atlantic World: A History in Documents and Bonds of Alliance: Indigenous and Atlantic Slaveries in New France. The talk starts at 7:00 with doors opening at 6:00. Admission is free.